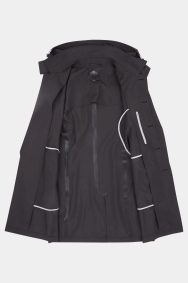 Keep smart and dry in this raincoat. 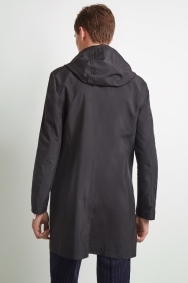 Made from a water-repellent fabric and with taped seems and a rubberised chest zip, this raincoat will keep your suit dry during freak showers. 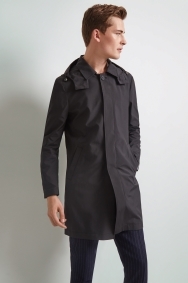 Thanks to its simple design and slim fit, it will make a smart addition to your outfit. 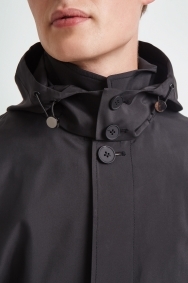 The hood is detachable, so you can create the look that suits your style best. 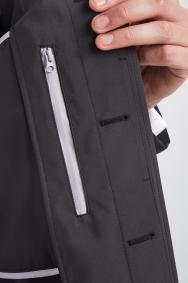 Wear over your suit whenever the forecast isn’t looking its best and make sure you do it all the way to the top to stop water getting through. Great fit, and great price.